I can’t believe (belif?) it has taken me so long to write this review! I’m actually almost finished with the Belif The True Tincture of Chamomile now (these pictures were taken a while ago) and it is high time I put my thoughts to paper (or to the interwebs). I purchased the Belif The True Tincture of Chamomile a couple months ago and I have to admit, I fell in love with the packaging and it’s probably the primary reason I bought it. I’ve mentioned several times that I’m a huge sucker for an apothecary bottle, and this one had me at hello. Happily though, the product inside is lovely as well! This post contains affiliate links. Purchasing a product through these links may generate a small commission that helps support this blog. You won’t pay a penny more and these links do not influence my opinion of the product. Yes, those are chamomile flowers in the background! Chamomilla Recutita (Matricaria) Flower Extract (86%), 1,2-Hexanediol, Glycerin, Beta-Glucan, Panthenol, Glycereth-26, Centella Asiatica Extract, Avena Sativa (Oat) Kernel Extract*, Calendula Officinalis Flower Extract*, Nepeta Cataria Extract*, Rubus Idaeus (Raspberry) Leaf Extract*, Baptisia Tinctoria Root Extract*, Stellaria Media (Chickweed) Extract*, Saccharomyces/Imperata Cylindrica Root Ferment Extract, Saccharomyces/Viscum Album (Mistletoe) Ferment Extract, Lactobacillus/Soybean Ferment Extract, Alcohol, Water, Glucosyl Hesperidin, Polydatin, Niacinamide, Trisodium EDTA, PEG-8, Dipotassium Glycyrrhizate, Alanyl Glutamine, PEG-150, Sodium Hyaluronate, Ethylhexylglycerin, PEG-60 Hydrogenated Castor Oil, Sodium Citrate, Citric Acid, Fragrance+, Citral, Cintronnellol, Limonene, Geraniol, Linalool. *Napiers original formula. +Fragrances of natural origin. The ingredients list is FULL of beneficial ingredients and extracts. Chamomile flower extract, beta-glucan, panthenol, soothing centella extract, ferments, niacinamide, licorice root extract, and more. There are a couple of potentially irritating ingredients too — for instance this essence contains alcohol and citrus oils which can be sensitizing to those with sensitive skin. I was a little nervous that the alcohol would be drying, but after using up nearly the entire bottle I can say that this is NOT the case for me. If anything, the alcohol just helps it to absorb a little faster, which makes this essence excellent for layering with subsequent products. The Belif The True Tincture of Chamomile is a light liquid slightly thicker than water. It is clear with the slightest amber tinge. This essence has an herbal smell that is quite pleasant, and the scent dissipates quickly. I typically pour a few drops into my palms and pat it over my face. It has a lovely slip and absorbs quickly while feeling extremely soothing and hydrating. It feels lighter than other hydrating essences and toners so I usually use the Belif Tincture immediately after cleansing or after my watery first essence. There is no stickiness on my skin after I use it. I find that the primary reason I love the Belif The True Tincture of Chamomile is the refreshing texture and how hydrating it is. Because it absorbs so fully without any stickiness, it works extremely well as a layering product, and is why I keep reaching for it again and again. I don’t think I’ve seen any long-term results other than the glow that comes with enhanced hydration, but that’s just fine with me. 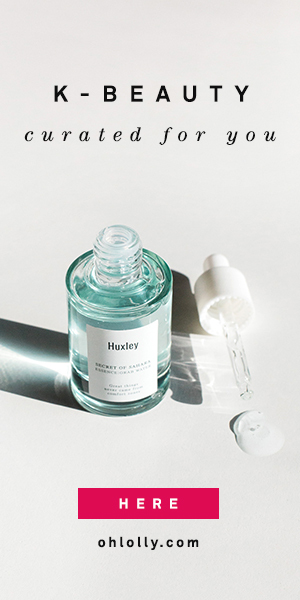 It’s also very soothing and I haven’t really had any irritation or redness in my skin, which is probably helped by the soothing centella, oat, and chamomile extracts. I think that the Belif The True Tincture of Chamomile is a lovely light hydrating essence that is probably suitable for all but the most sensitive skin types (or if you have a specific sensitivity to something in the long ingredients list, like niacinamide, or ferments). It absorbs quickly and really makes a difference in the hydration of my skin. Unfortunately this essence is on the more expensive side, $46 for 75ml, which I think is a bit overpriced. If it were in the $30s I think it would be more reasonable. That being said, I’m considering repurchasing it because it’s one of the few products that I’m really sorry to see empty, and with how many products I test on an ongoing basis, that’s pretty high praise. I purchased this product with my own money. All opinions are my own. Sounds like a great product Camilla, however I haven’t tried any chamomile products for my skin, only for hair. I remember I had a scalp condition many years ago and doctor recommended chamomile oil to use after I wash my hair and it was a miracle for me. Oh wow chamomile oil actually sounds really lovely! This is a wonderful essence, very soothing! I was thinking yes! I will buy this until I saw the price. Eek! It’s a bit too much for what it is. I know many find alcohol to be drying but I personally find it helps with absorption. I’m lucky that my skin is not sensitive though. Haha, I know it’s expensive for only 75ml. If it were twice the size it would be more reasonable!